I came to the Jewish-Catholic dialogue by a serendipitous path. Editor’s note: The following homily was preached by Fr. Stravinskas on September 10, 2018, at the Church of the Holy Innocents, Manhattan. Tonight Jews around the world begin the celebration of their High Holy Days, with the observance of Rosh Hashanah and culminating in Yom Kippur (the Day of Atonement). 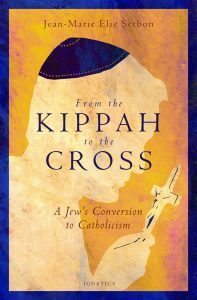 I thought it might be helpful to reflect on Jewish-Catholic relations, especially given the fact that more Jews live in New York than in most of Israel but more so because we realize the truth of the assertion of Pope Pius XI, namely, that “spiritually, we are Semites.” Recently, I was asked to write an introduction to the Italian edition of a book published by Ignatius Press as From the Kippah to the Cross. Here is some of what I said. Upon beginning my studies for the priesthood at Seton Hall University, I made the acquaintance of Monsignor John Oesterreicher, a convert from Judaism, a contributor to the Vatican II declaration on the Jews, and the founder of the Institute for Judaeo-Christian Studies at the University. As a young seminarian, I had the privilege of serving Holy Mass for him and of “picking his brain” on Jewish-Catholic affairs. While pursuing my master’s degree in theology, I came across a notice for the newly-established Academy for Jewish Studies without Walls. Intrigued, I enrolled in a biblical course under the tutelage of none other than the great Rabbi Samuel Sandmel. I felt as though I had taken a page out of the playbook of St. Jerome, who had enlisted the services of a rabbi when he embarked on his translation of the Sacred Scriptures into Latin. He did this to learn Hebrew but also to learn how to interpret Holy Writ as only a Jew can do. I was brought into the Jewish-Catholic conversation more intimately by Monsignor Joseph Shenrock, who had taught me in high school and who had mentored me on my journey to the priesthood. As director of ecumenical and interreligious affairs for the Diocese of Trenton, he introduced me to serious workshops and to leaders in the movement. As public relations director for the Catholic League for Religious and Civil Rights in the 1980s, I had to confront the Anti-Defamation League of B’nai B’rith because of their lobby efforts to derail a parochial school aid bill in the New York State legislature. The man assigned to deal with me was one of the grandfathers of the dialogue, Rabbi Leon Klenicki. We had a very heated argument about the issue, which resulted in an agreeable solution and a lifelong friendship between us. The rabbi and I co-authored articles and books and made presentations together at numerous conferences. I had the privilege of attending to him in his dying weeks. Among the many books I have written, the one which has gone through the most editions is The Bible and the Mass, in which I go into great detail identifying the Jewish roots of Catholic worship, convinced as I am that without that understanding, no Catholic can have a true and full appreciation of the Sacred Liturgy. One of the anecdotes I treasure most is a conversation between a Jewish couple with whom I had become very close. One day, as they tell the story, the wife asked her husband, “Do you think Father Peter prays for us to become Catholics?” “Of course, he does,” came his swift reply. “Why do you say that?” she pressed. “Because knowing what we know of what Father Peter thinks about salvation, he would be the worst anti-Semite in the world if he didn’t pray for us to join the religion that he believes gets people to Heaven!” The old gentleman was right. It was that very conviction that made me a strong supporter of the Association of Hebrew Catholics from their very founding. Here was a group that did not engage in “tea and sympathy.” They really do believe that Jesus is “the way, the truth, and the life.” And they love the Chosen People so much that they want to make sure that as many of them as possible enter into a saving relationship with Jesus Christ. 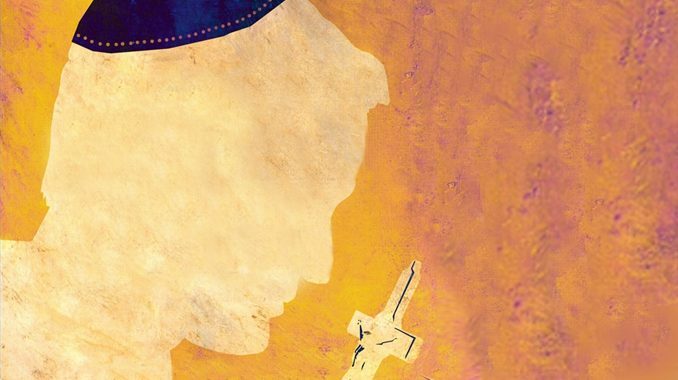 All of this background is offered to share my own pilgrimage in Jewish-Catholic relations and thus why I so enjoyed reading From the Kippah to the Cross. Here was the story of a man who had fallen in love with Jesus, came to view Him as his Savior and Lord, sacrificed much to make that profession of faith, and wanted to share his joyful discovery with his brothers and sisters among the children of the First Covenant. This book, however, is not a source of edification and evangelization of Jews alone; it is a challenge to Christians who have grown all too comfortable in their faith, who have lost the fire of faith, and who might not actually be capable of sacrificing everything for Christ. St. Paul declared, “Indeed I count everything as loss because of the surpassing worth of knowing Christ Jesus my Lord. For his sake I have suffered the loss of all things, and count them as refuse, in order that I may gain Christ” (Ph 3:8). Jean-Marie Elie Setbon says that loud and clear. May his witness inspire us all to echo Paul’s declaration. Almighty ever-living God, who bestowed your promises on Abraham and his descendants, hear graciously the prayers of your Church that the people you first made your own may attain the fulness of redemption. Through Christ our Lord. Amen. A very enjoyable article. I think it’s good to learn as much as possible about Judaism: before and at the time of Jesus. While what’s followed on from then, up to the present day, is exceedingly worthwhile also. Unfortunately! So much of it has been tragic. Their liturgical practices, and how they celebrated their various festivals, are very relevant subjects. There has been a lot of great work done in this area and made available to lay people. Nearly everything I am fortunate enough to have has come out of the USA. I like to think of it in terms that the scholars do the hard yards, and the lay people benefit as much as each is able to. I thought it was a beautiful anecdote that Father related as well. It was good to hear also: that people of different faith backgrounds can be adult enough, to agree to disagree, even if things get heated from time to time, and that friendships can blossom from this. I know that I can have trouble enough getting along with people of my own faith. Thank you Father. Anything to do with Judaism usually gets me excited. Thank you, Fr. Stravinskas, for a lovely article. I’d just like to make a slight correction about the nature of the Association of Hebrew Catholics. This group is made up mostly of Jewish converts to Catholicism, not of Gentile Catholics who are trying to evangelize Jews. As a matter of fact, they definitively state that they are not out to evangelize Jews, but are seeking to preserve their Jewish heritage within the frame of Catholic worship. The AHC was instrumental in my own conversion from a non-observant Jew to a Messianic Jew to a Hebrew Catholic. I love how the Catholic Church came directly from Judaism and I can still see Jewish elements of worship in the Mass. It was very encouraging to me to see that there were other Jewish people who had made similar journeys, with differing results, but with the same joy and love for Jesus that transcends all difficulties. God bless you, Father, in your endeavors! On the intellectual level as you describe your relations I totally agree with you. From my personal level my parents and I had very fine relationships. My grandmother did domestic work for a Jewish Family in Binghamton, NY.They were great people. I could never say an unkind word. Going to Israel and seeing the suffering inflicted on Arab Christian brings a deep concern. The proclamation of President Trump that Jerusalem is the capital of Israel is of concern. Basically the injustices that will be inflicted upon Christians and Muslims. The residents of Bethlehem are unable to travel eight miles into Jerusalem. To witness no condemnation upon Germany by our Jewish Brothers and sisters and the condemnation in Poland. I personally met Jerzy Kluger the boyhood friend of St. John Paul the IInd and had a most wonderful conversation with him in Rome at a reception for the ordination of an Archbishop. I had a scripture professor born in Poland and was 11 years old in 1939. The young Zbigniew came to purchase bread from the local Jewish Baker and was posed the following question. Zbigniew where is your Poland today? The eleven year hold answered Ithought it was your Poland as well. The injuustice done to the Caemlit Sisters who were made to move from their convent because the nuns had a wooden cross in their garden that cast a shadow into Aushwitz. The revisionist history not to include the martyrdom of people from 17 nations who were non Jews and martyred in the Concentration Camps begs a cry of recognition. The one sidedness of the portrayal of the Holocast is unjust. Apologies need to come from both sides to bring healing. History that excludes truth is not acceptable.